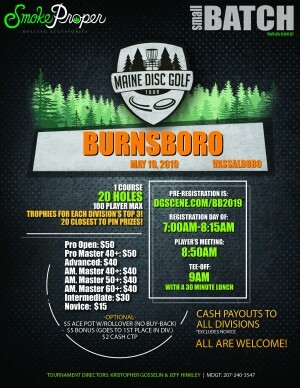 Hello and welcome to The 2019 Maine Disc Golf Tour at Burnsboro Disc Golf! This is the 2nd tour stop of 13 events. 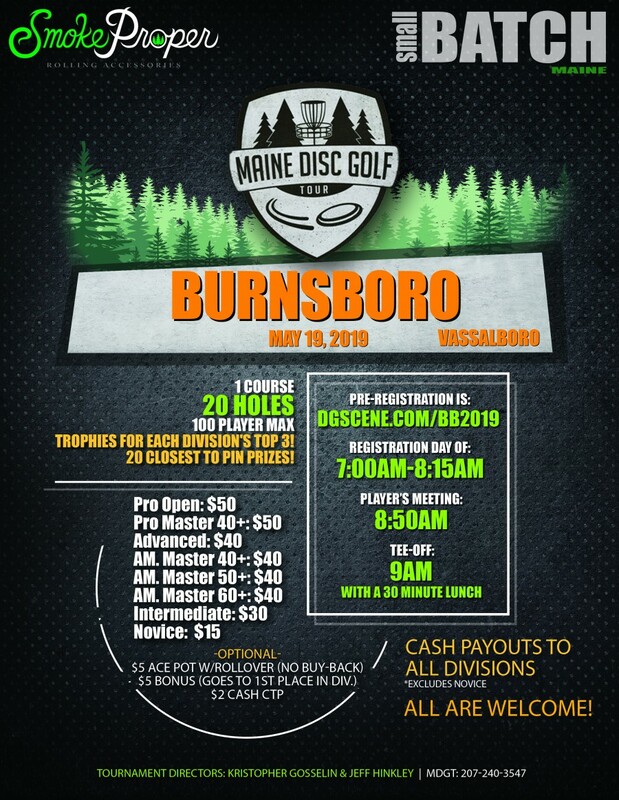 Burnsboro offers respectable lines and clean fairways. Plenty of birdie opportunities out there for everyone. You could most certainly leave all your long distance drivers at home; as its your short game that will be put to the test. All 20 holes will be in play for this event. The pro shop does stock a few discs, along with snacks and beverages. Rte 201 north out of Augusta, 5 miles to right on Stevens Rd., 1 mile to end and left on Church Hill Rd., 1.2 miles to a right at Burnsboro Disc Golf sign. Slowly to the end.